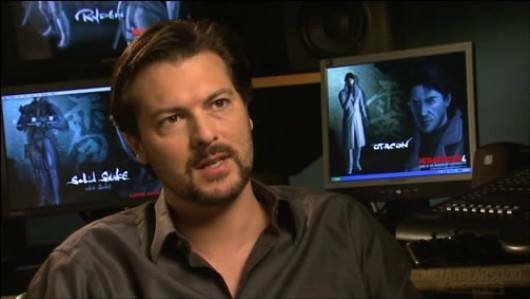 David Hayter has written X-Men movies, Watchmen and has voiced Snake in Medal Gear. Now he has written and directed his first movie ‘Wolves.’ We talk about all that and more below. MPAA Rating: Rated R for bloody violence throughout, and some sexuality. Synopsis: Popular high school student Cayden Richards wakes from a horrific nightmare, only to realize that he’s living it… He is changing into something vicious, unpredictable and wild. Forced to hit the road after the brutal murder of his parents, Cayden tries to hunt down the truth of what he is. In the remote, mountain town of Lupine Ridge, he discovers others like him — Including the beautiful Angelina, a young woman caught between two ancient clans of “wolves”. And when he finally discovers the shocking truth behind his ancestry, Cayden realizes there is only one way to save the woman he loves… a grisly fight to the death against forces more savage than he could have ever imagined.